Tiny drones like the DJI Spark or Mavic are fantastic because they can fit in any bag. 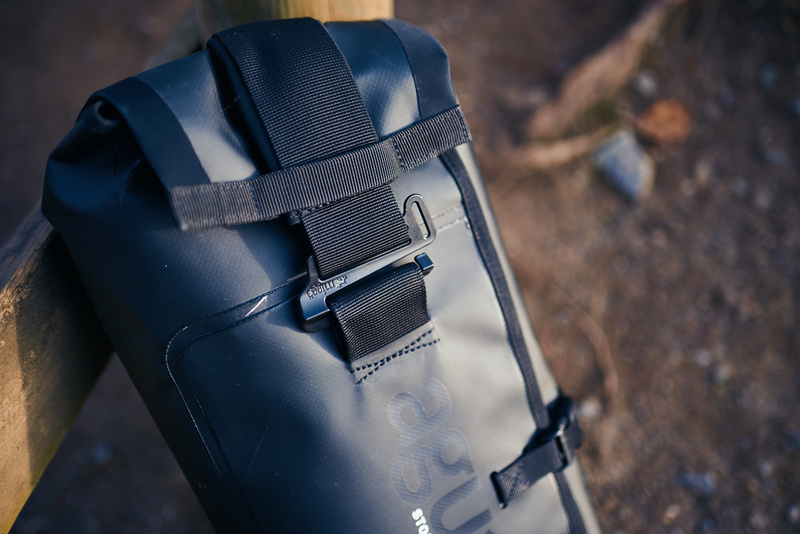 However, not all bags are equals when it comes to protection and usefulness. The Miggo Agua Stormproof Drone Lander was designed specifically for compact drones, keeping them safe no matter the conditions you are working in. I’ve had it for a little while now and couldn’t see myself going out for a walk with my drone without it. Here’s my full review of this handy bag. The Miggo Agua Stormproof Drone Lander design is made to last and not to please the eyes. I personally find it not too bad looking, but I’ve had a few people telling me how they found it ugly. But I’ll leave that choice to you and talk about the things that we can all agree on. 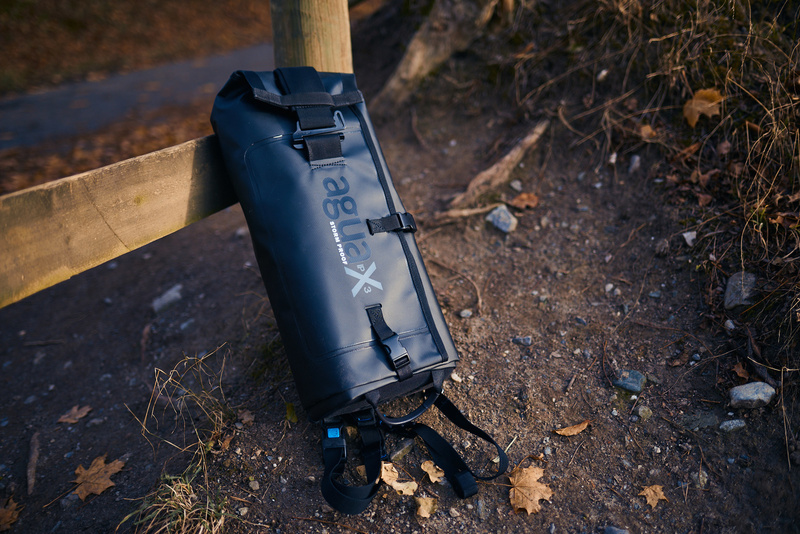 The bag is made of a double layer of Lycra and Tarpaulin and a padded insert to keep the gear safe in any condition. 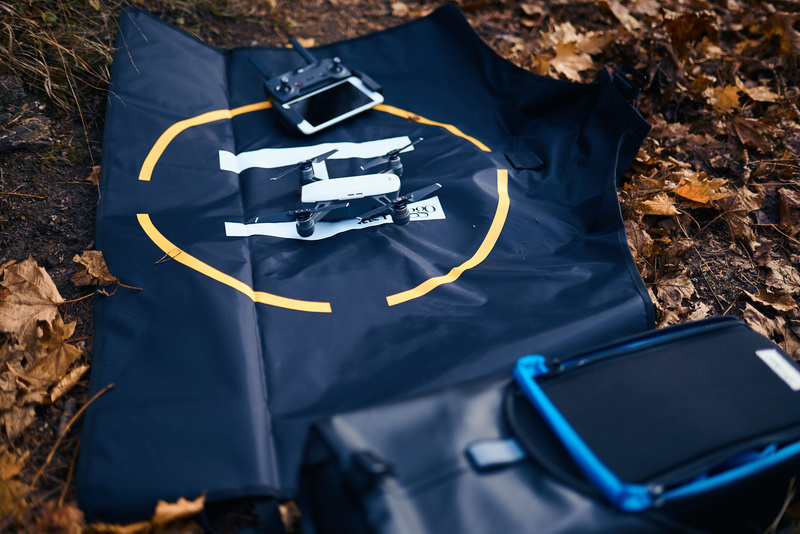 To make it even more sturdy, when you use it as a bag to carry the drone, the landing mat made of Tarpaulin rolls around the bag itself to protect your drone even more. It’s quite a smart design. Also having a landing mat integrated into the bag is excellent. You won’t forget it at home, and you can take off anywhere: snow, sand, grass, etc. The inside of the bag is made of one long padded insert that can be organized using the four included dividers. You can suit pretty much any kit that made of a DJI Mavic or DJI Spark in it. Bigger drones won’t fit in. On the back of the insert, you’ll find a pocket to slide in your iPad Mini if you use one to control your drone. Speaking of remote control, the bag is delivered with foam padded remote control cover to protect its buttons and joysticks. The insert fits the Spark, its remote, and a battery nicely. The padded strap that wraps around your chest to carry it in a sling style on your back is nicely padded as well, making the bag comfortable even for longer walks. I’ve traveled quite a bit during the autumn in Switzerland with this bag and encountered everything from heat to rain or even snow, but the bag is still intact. It looks like a brand new one despite my not so gentle use of it. I’ve used it to carry my DJI Spark in it, and it was both practical and reassuring to rely on the Miggo Agua Stormproof Drone Lander. It's practical because I had a landing mat anywhere I went, and I knew all my drone stuff was in this bag as I could fit in the batteries, the charger, the remote, as well as the drone. So whenever I had to run out, I simply grabbed the bag and didn’t have to think twice whether I had taken everything or not. Having one bag dedicated to your drone is a significant advantage when you own quite a bit of gear, and it’s even better when it’s specifically designed for it. Also, if you have more gear to lug around, you can always just take the padded insert and throw it into your other bag. The landing mat is big enough for a compact drone or for you to sit on while the drone is flying. Then it was reassuring because I knew my equipment was safe. Miggo advertises it as stormproof, and I have no doubt it is. I haven’t been in a storm with it, but I’ve had to walk under pouring rain, and my drone was dry every time. 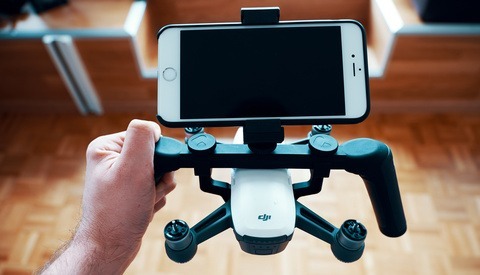 The DJI Spark and the DJI Mavic aren’t very expensive compared to other drones out there, but still, for many people, it’s an investment and knowing that it is well-protected leaves you with a free mind while on your walk or trail. Available at $149.90, the Miggo Agua Stormproof Drone Lander is not cheap, but worth its price. 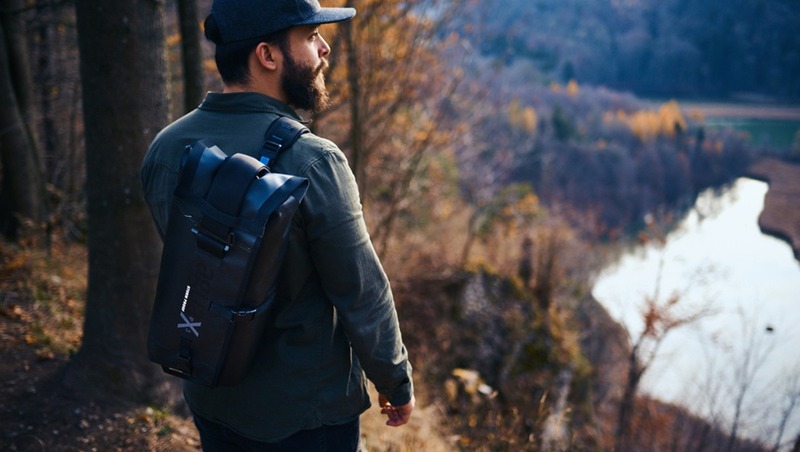 You can certainly find more affordable alternatives to protect your drone, but this bag is designed for your Spark or Mavic and extremely sturdy. Investing in a drone is great, protecting it to make it last even better. I prefer standard backpack to sling style ones; having the choice would have been great. 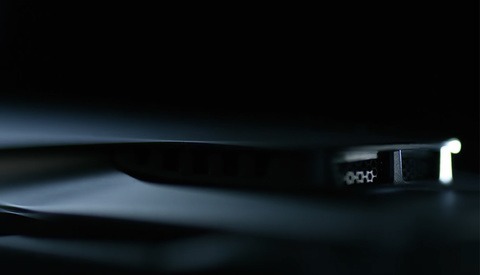 No external pocket that can be accessed quickly. 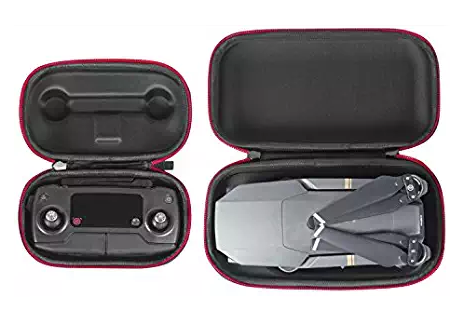 If you are DJI Spark or Mavic owner looking for a reliable and comfortable way to carry your drone around without having to worry about the weather, this bag is made for you. 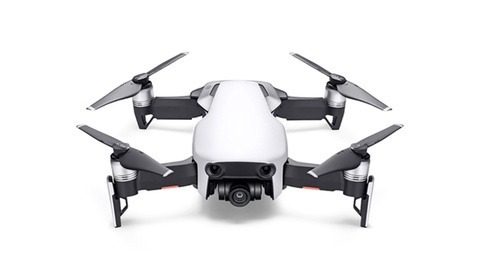 However, if you are not looking for something that can only carry your drone you may want to keep looking for other alternatives as it doesn’t offer much room to carry bigger things or additional equipment. 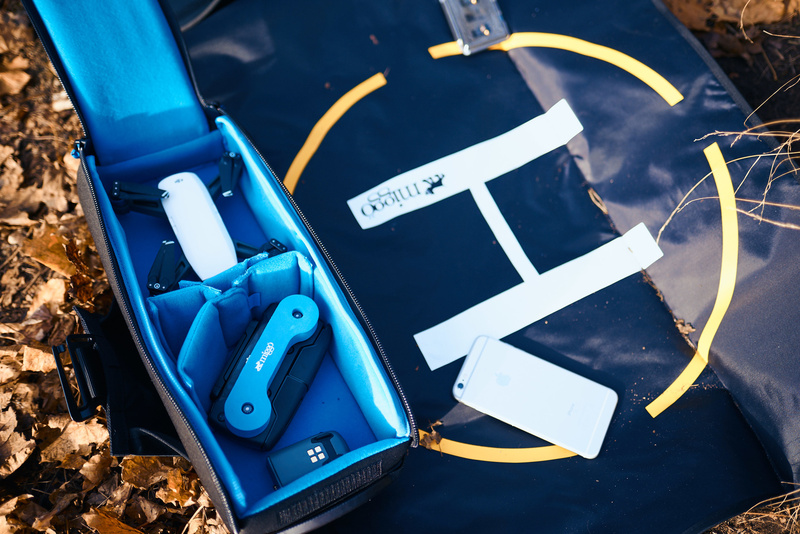 It’s a bag with a single goal: transport and protect your compact drone in the best way possible. And it does it fantastically well. These soft cases are the best for $15(ish). You can throw them in ANY bag. If you decide not to use them for the intended purpose (like I did after buying a dedicated Manfrotto bag) they serve very well as lens cases and general photography bits and bobs cases. Either way, excellent purchase on the cheap. I could imagine this could make for a great Christmas present. Certainly something I wouldn't buy for myself! The thing I love about the Mavic is I can just throw it in any bag. I put the brace and cover on the gimbal and just toss it in... no problems with many thousands of miles of travel.